Wandering around anywhere in NYC will inevitably lead you to stumble upon some good eats. And when it leads you some good cheap eats, eeeven better. My friend and I had a little time to kill and bellies to feed so we perused a few blocks in the Lower East Side and came across Norman’s Cay, a Caribbean restaurant. We saw a sign that advertised tacos and beer specials, plus it was quaint, peaceful and a solo guitarist was in the entryway so we moseyed in. 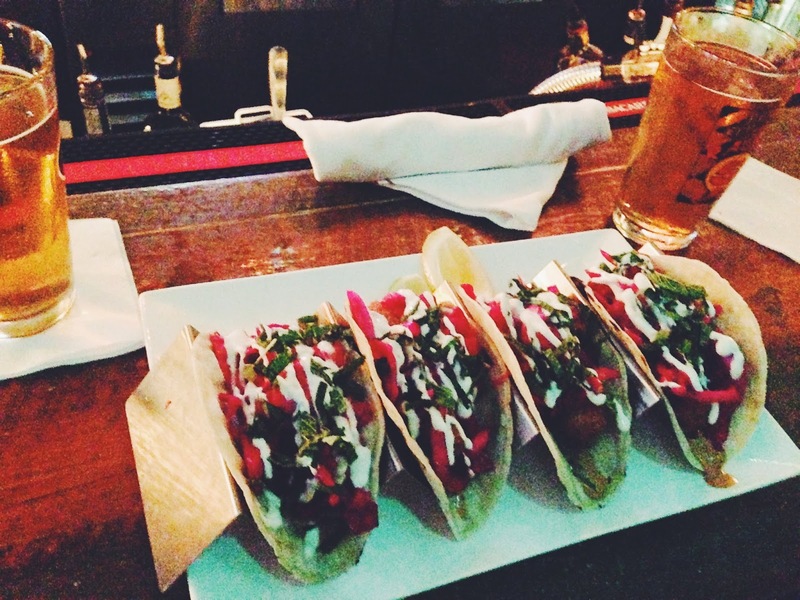 Naturally we gravitated towards the fish tacos, which are included in the happy hour special of four tacos for $12 and the beer was $5 a glass. The tacos were a harmonious blend of sweet, salty, and a hint of spice and the cabbage slaw was a perfect topper. I can imagine everything else on the menu is equally as impressive. I also noticed a sign that they have a live DJ/band on weekends so I shall return. What are you favorite cheap eat spots?